Mark Ormrod was a 'gravel belly', a 'bootneck' marine who loved being in the heart of the action when things kicked off, and he relished the prospect of a tour of duty in Afghanistan. And then the unthinkable happened. In one heartstopping moment Mark's life was brutally shattered when a landmine tore off both his legs and his right arm. 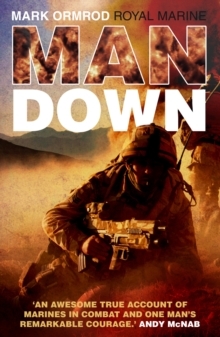 The catastrophic injuries he sustained and the shocking truth behind the doctors' battle to save him are all described in graphic detail in this remarkable memoir. So too is the story of how, on the brink of despair, Mark began the greatest battle of his life - to walk again and, using state-of-the-art 'bionic' legs, to stand shoulder to shoulder with his comrades to receive his campaign medal. It was a battle he had to win if he was to rebuild his life. 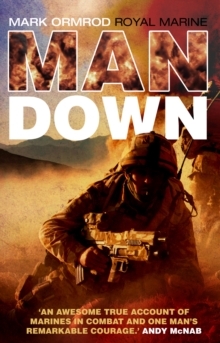 Told with brutal honesty, Man Down is a moving, action-packed account of courage and comradeship, of life on the frontline and the terrible legacy of war. It is a story of true grit you will never forget.